I believe that it is important to treat every client as an individual, and to work collaboratively with family members and other providers to ensure a comprehensive evaluation. Producing a readable report with thorough recommendations for the client and his or her family is also an area of professional focus. 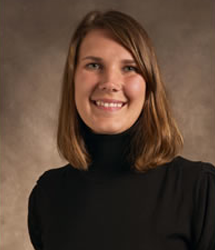 Dr. Nippoldt-Baca has completed research in the areas of auditory processing and visual-spatial abilities in children on the Autism Spectrum, the neurocognitive effects of pediatric Lyme Disease and Duchenne Muscular Dystrophy, and the effects of traumatic brain injuries on family systems.